Security breaches and compliance audits are the stuff IT nightmares are made of; and security has given most of your peers pause as they ponder moving larger or more sensitive workloads to a cloud-based environment. But, businesses that have adopted managed cloud services to help with cloud deployment and management often find they benefit from improved security and enhanced capability to meet compliance requirements. 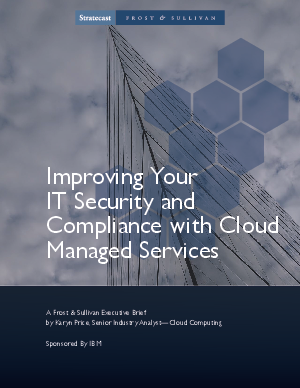 This Frost & Sullivan whitepaper explores some of the common fears and challenges related to security and compliance, and how a skilled managed service provider can help you overcome them as you deploy sensitive, business-critical workloads in the cloud.